I've written before about how I struggle with the rhetoric surrounding weight loss in America. On the one hand, I completely agree with people who talk about fat-shaming and the way that marketing and media portray unrealistic body types as a way to increase sales of products designed to get us to unattainable goals. I agree that we perpetuate stereotypes of people who are overweight as being lazy and selfish. I think that, especially for women, we equate thinness with beauty and beauty with worth, so little girls are dieting before they're even in middle school and a ridiculous amount of women have eating disorders. We should never judge people based on their size. For one thing, we don't know what other factors might be preventing someone from losing weight: physical disability, metabolic differences, etc. For another thing, your weight does not determine your worth, and people have the right to be any size they want. I can't say that I completely understand the perspective of people who are victims of fat-shaming because (though I've struggled with my own weight and body image), I've never felt victimized by it myself. I don't, however, want to deny their responses or emotions when I say that I'm also conflicted about the narrative surrounding the obesity epidemic in America. But conflicted I remain. Just do a Google News search for "obesity." It's a buzz word. It's everywhere. And the statistics can be pretty shocking. According to the CDC, 1 in 3 adults is obese and medical costs associated with obesity were estimated at $147 billion. The health problems linked to obesity are numerous and can effect longevity, quality of life, and mobility. The problem of the rhetoric of weight loss was summed up nicely this week with two high-profile cases: Mariah Carey and Fat Joe. Carey, 42, was so disgusted with her physique that she refused to let even husband Nick Cannon see her unless she covered up first, she said Tuesday. "I had a towel on in the tub," Carey, who gave birth in April, says. "I’m not lying, I promise you! You think I would let Nick see me looking rancid like that?" Make no mistake, self-deprecation does not detract from fat-shaming, and that's exactly what Carey is doing. By suggesting that her body was "disgusting" and "rancid," she equates being overweight with being worthless. She focuses almost entirely on the aesthetics of weight loss, concerning herself with how she would appear as a sexual partner and what she looked like. I think I weighed about 450/460 at my heaviest. That's huge! 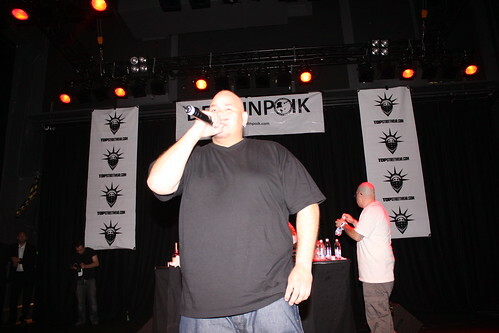 That's Fat Joe. And you know, I always took pride in being fat. I represented big people, but I realized at a certain point all my big people were dying. He talks about losing six friends, all overweight, to heart attacks last year alone. His advice is practical and straightforward. He's not promoting a fad diet or even an ideal physical aesthetic. He's promoting walking more, eating healthier, and being cognizant of the social and interpersonal dynamics at play in your own health choices. These two stories and the rhetoric surrounding them highlight the problem inherent in the "obesity epidemic" discussion. If that discussion centered entirely around health, what would it look like? If we didn't use the very real health issues surrounding obesity as an excuse to shame other people for what they look like, what would happen to the movement? Most of the 'very real health issues' surrounding obesity are highly debatable. Correlation does not equal causation. Check out the concept of the obesity paradox. I will check it out. This is an issue I'm really having a hard time sorting out and I'm interested in finding more perspectives. I know that there are many, many people who are "overweight" or "obese" by BMI measurements (which seem useless to me) that have healthy blood pressure, cholesterol, etc. But when Fat Joe or someone else loses a lot of weight by making sensible health changes (exercise and healthy eating, not fad diets or obsessive workouts) and numbers like high blood pressure and diabetes drop, it seems like weight-for that person-was a factor. Thanks for the info to look up. I sincerely want to learn more because I don't want to be part of the problem (and I do see much of the obesity movement as oppressive and prejudicial), but I truly struggle with thinking this one through. This post brings up not only the issues with shaming and obesity, but shaming mothers who gained weight during their pregnancy. The airbrushed images of mothers on magazines who have given birth a month ago and are shown back to their pre-pregnancy weight is another media-fueled impossibility for most women. She said she looked rancid and wasn't even 3 months post-partum. That makes me so sad, for her and for the ideal she is perpetuating for anyone who is taking what Mariah Carey says to heart (which I hope isn't many, but I'm sure is more than I'd guess). And way to go Fat Joe. It is definitely hard to wrap my head around. What does seem safe to say, though, is that promoting taking care of yourself through a healthy lifestyle and positive self-worth is a good thing. Maybe I can just stick to that for a while! Instead of saying (not implying that you did) "Fat Joe lost 100 lbs and as a result his blood pressure and insulin levels went down (which implies a correlation between weight and health)" one could say "Fat Joe implemented a regimen of exercise and healthier food choices and as a result his blood pressure and insulin levels went down. It also resulted in him losing 100 lbs"
The latter statement implies a relationship between food choices/exercise and health, rather than weight and health, framing weight loss as another side effect of said healthy choices.